Though the 2010 Winter Games have long since past, the legacies left will forever be part of Whistler’s tapestry. The lasting impact of the 2010 Winter Games on our community is tremendous. With a vastly improved highway, brand new competition venues, Whistler Olympic Plaza, the Athletes’ Village housing complex and the lifelong memories gained from hosting the world, Whistler will never be the same. One of the most scenic highways in the world, the Sea to Sky Highway from Vancouver to Whistler, received many upgrades in preparation for the Games, making this breathtakingly scenic routes safer and faster. The Whistler Sliding Centre and Whistler Olympic Park are now used for local sports and recreation, public tours, special events and high-calibre competitions such as World Cups. 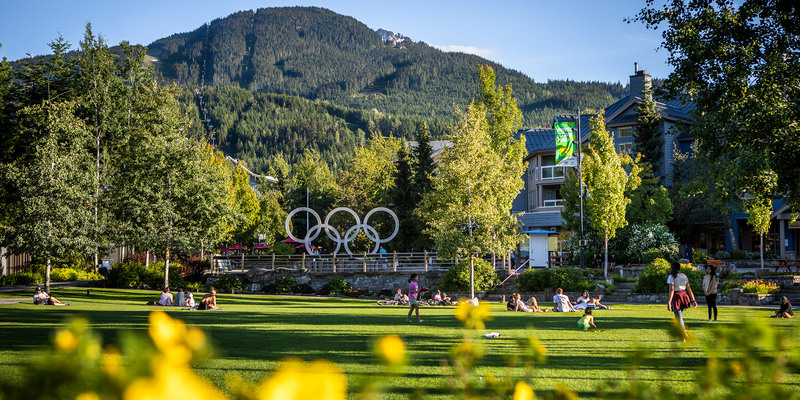 Whistler Olympic Plaza brings a new social gathering place to Whistler Village where locals and visitors alike can watch live music and theatre in the band shell, have a picnic on the expansive lawn or play a game of catch or Frisbee. The Athletes’ Village neighbourhood provides affordable housing to many locals. The area also offers a brand new youth hostel and high performace gym with lodging for athletes in training. 2010 Legacies Now was originally created to build support the bid for the 2010 Winter Games. Today 2010 Legacies Now celebrates diversity among groups such as women, youth, aboriginal people, inner-city residents, people living with a disability and people of all cultures and creates opportunities via social and community development initiatives that will benefit all British Columbians. In the early 1960s, a group of Vancouver businessmen formed the Garibaldi Olympic Development Association in the hopes of bringing the 1968 Olympic Winter Games to British Columbia. After thoroughly exploring the rugged Coast Mountain range north of Vancouver, they found the perfect mountain (then called London Mountain). Even though the ’68 Winter Games were awarded to Grenoble, France, they decided to continue developing a ski hill on London Mountain anyway. 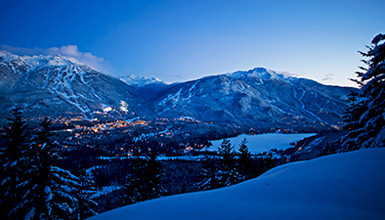 On February 14, 1966 the newly renamed Whistler Mountain officially opened for skiers. While the resort made several more bids for the Olympic Games over the years, it took nearly 40 years for Whistler to finally make its Olympic dreams a reality. The Olympic Torch Relay attracts more than 15,000 people to Whistler’s Skiers Plaza. Canada’s first gold medal on home soil is won by Quebec’s Alexandre Bilodeau for an incredible performance in Men’s Moguls – Whistler Village was watching live on giant viewing screens and the cheers echoed off the mountains for hours. The red Olympic mittens created specially for the Games become a huge hit and long line-ups form at the Olympic Store daily as revelers try to, literally, get their hands on some! Petra Majdic of Slovenia wins the bronze medal in the Ladies’ Individual Sprint cross-country skiing race after suffering five broken ribs and a collapsed lung in a training wipe-out. Despite being in agonizing pain, Petra made it through the quarterfinals, semifinals and then ultimately won bronze in the final. She had to be helped on stage at Whistler Medals Plaza by a medic that evening to receive her medal. Switzerland’s Simon Ammann wins both ski jumping gold medals to become the first man ever to land four gold medals in the sport. Simon won the gold in both Normal Hill and Large Hill in Salt Lake City in 2002 and did the same in Whistler in 2010. In true Canadian style, Jon Montgomery chugs beer in Whistler Village after winning Olympic Gold in Skeleton. It was the fourth gold for the country, but the first at an event held in Whistler. <Two Canadian women’s bobsleigh teams own the podium, winning both gold and silver in the event. Kaillie Humphries, Heather Moyse, Helen Upperton and Shelley-Ann Brown bring it home for Canada right here in Whistler. Whistler athletes make the community proud by giving their all in Olympic competitions. Ashleigh McIvor wins the first gold ever in Ski Cross, an inaugural Olympic event; Maëlle Ricker wins gold in Snowboard Cross; siblings Mike and Britt Janyk compete in alpine skiing events on the mountain they grew up skiing; ski cross athlete Julia Murray, daughter of Crazy Canuck Dave Murray, competes in her first of likely many Olympic Games. While these moments were celebratory and defining, the list wouldn’t be complete without mentioning the saddest moment of the Games, the death of young Georgian luger Nodar Kumaritashvili. Nodar came to Whistler to pursue his Olympic dream and will live on in our hearts forever. All the venues built for the Winter Games are open to visitors - find out how you can try 'em all.